I'm a software consultant with 10+ years of experience available to help you meet your business goals. I've assisted well known global companies like Just Eat and Triumph Motorcycles, created my own commercially successful apps and have a PhD from Edinburgh University so you can rely on me to deliver high-quality solutions on time. I've successfully delivered web and mobile solutions to companies from all over the world, and have independently launched my own commercially successful apps. I’m the creator of Checkbot, a Chrome extension that tests 100s of pages at a time against 50+ SEO, speed and security web best practices. 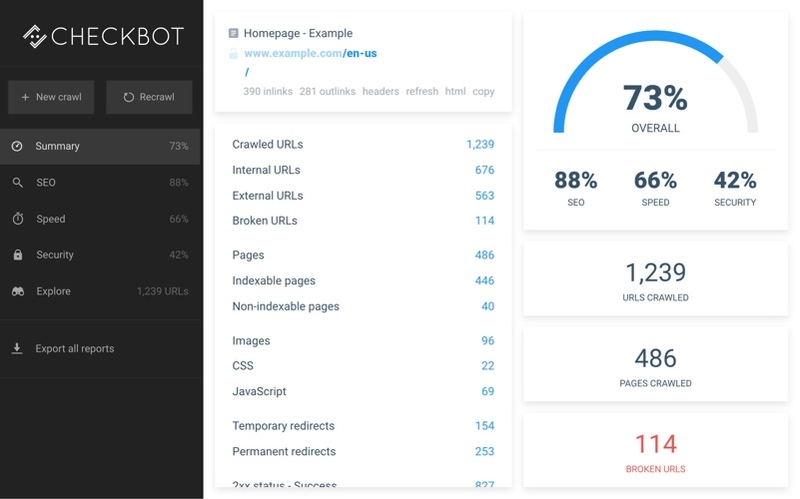 Checkbot automates website optimisation audits that normally have to be done manually such as finding broken links, duplicate page content and insecure password forms. Everything was done by myself including the website, the graphic design and logo, the UX design, the custom subscription payment solution and the comprehensive 10K word web best practices guide that accompanies the extension. Checkbot has a 4.9 out of 5 average user rating and has 20K+ active users with 100s of paid subscriptions. I’m the creator of Fresco for Android, an easy to use yet feature packed digital painting app for Android phones and tablets. 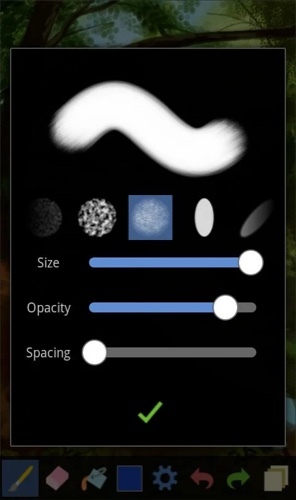 Fresco was one of the first Android apps to feature layers, and comes with configurable brushes, custom implemented image filters and robust undo/redo/autosave. The code was highly optimised to run on low-end devices: it has low memory usage, painting feels responsive with limited processing power and only requires 0.3MB to install. 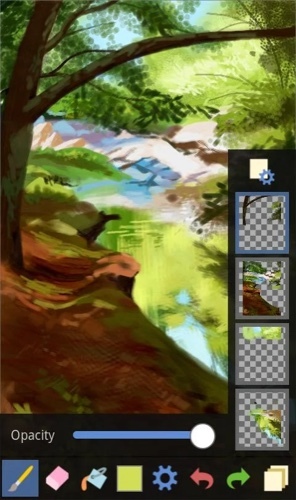 On release, Tested said Fresco was “the best drawing app on Android” praising its intuitive interface and the realism of the digital paintings produced. Fresco has sold 10K+ copies and has 500K+ free downloads. 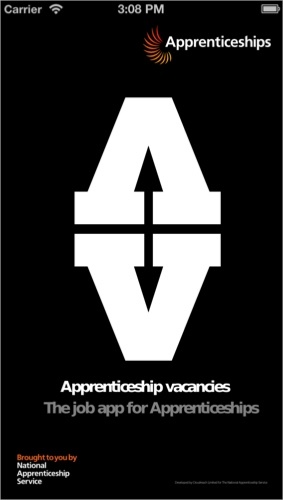 I was lead developer on the team that made AV Search for the UK government’s National Apprenticeship Service. The publicly available iOS and Android mobile app lets you search and apply for apprenticeships. The project included writing a web service that lets you search through live apprenticeship data that were synchronized from another database. A core challenge of the project was managing the complexity of multiplatform and multidevice development. We used extensive automated testing to reduce defects and improve code maintainability. The app was successfully launched to the public without a single major bug needing to be fixed. I was the core developer responsible for enhancing and optimising the website for Cloudreach, an international cloud computing consultancy with 700+ employees with headquarters in 17 cities . 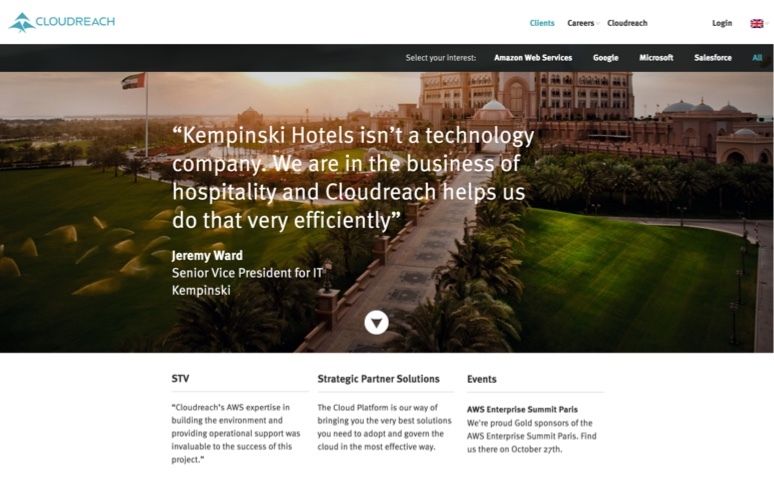 My role included adding a complete multilingual solution, dynamic content that changed based on the perceived interests of the user, SEO auditing and optimisations, Salesforce integration, cloud hosting migration, analytics for visitor behaviour, theme customisation and landing page development. Working with Freak Films, I developed an interactive map experience for a Triumph Motorcycles visitor centre. 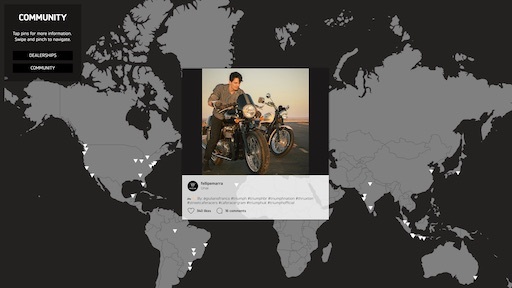 The map was projected on to a 170 inch screen and displayed map pins for brand related Instagram posts and information on Triumph dealership locations. A nearby large touchscreen display let visitors pan, zoom and explore the projected map. I had to develop a custom CMS that let staff curate the Instagram posts shown and automate pulling in dealership data from an existing live database. The map display also had to function if it went offline. The experience this project was part of won a Scottish Design Award. 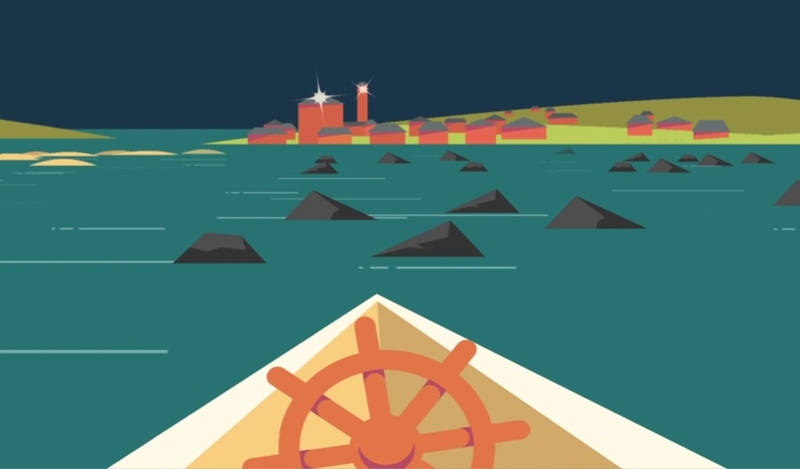 In collaboration with film production company Freak Films, I created a large screen touch input game for the Old Low Light nautical museum. I worked closely with the museum to create a game design that taught players how light houses are used by sailors to steer to shore. I then worked with graphic designer Andrei Staruiala to create an inviting faux 3D gaming experience that worked within the budget we had. Starting from your initial concept, I can take you through the stages of requirements gathering, solution design and software development, all the way to final delivery. Student: I grew up in Edinburgh and have loved coding from an early age where I’ve been self-learning since before high school. I consolidated my self-taught skills by earning a Software Engineering degree at Edinburgh University in 2004 where I finished top of my year. Research: I completed a PhD in software verification at Edinburgh University in 2010 where I published papers, gave presentations and taught courses. I then worked as a postdoctoral researcher on semantic web research and development. This period in academia stengthened my research, planning, writing and communication skills. Software engineer: I joined a cloud computing consultancy in 2012 as a senior software engineer where I lead commercial projects from concept to completion. I was involved in presales, requirements gathering, architecture design, development, UX, team leadership, mentoring, giving training courses and recruitment. Software consultant: I’ve worked as an independent software consultant full-time now for 5+ years where I’ve delivered software solutions to individuals and large companies from all over the world. I also work on my own commercially successful products where I take charge of design, development and marketing. I'm an experienced full stack developer (frontend + backend) with UX design skills who can design modern software solutions that fit the needs of your business. Some kind words from amazing people I've worked with on projects in the past. Sean supported us and the growth of our website for a number of years, and we’ve found his work and advice to be of the highest value. He has a reliable and thoughtful approach and is a proactive problem solver. For people without a head for coding and programming, Sean made the process quite straightforward, and because of that we’d definitely work with him again. Sean’s skills and professionalism has helped to project Blue Alligator into global markets, by developing multi-lingual facilities into our Wordpress website. The door is now open and we’re look forward to having Sean help us make the most of it! His professionalism, reliability and ability to stay the course whilst always offering quality delivery and very practical solutions I think makes him an asset to any team. Sean is truly a great engineer and I would work with him again. Sean manages to resolve any issue/make any update for our website, no matter how complicated! An absolute pleasure to work with! Working with Sean was a great experience! He resolved all the issues I faced with my website while upgrading the security and speed. He is very professional and organised! Looking forward to our next cooperation! Sean is always meticulous in considering the various design aspects of the work that he does, so the end result is of a very high standard. On top of this he is personable and easy to work with. To discuss your project and work towards a quote, use the form below or email sw@seanw.org. I'll get back to you within one working day.